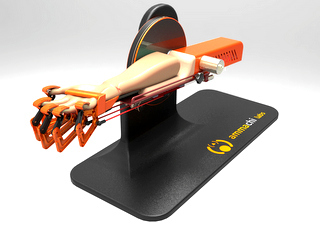 Haptic technology as a modality takes advantage of the sense of human touch by applying forces and vibrations to provide real life-like experience to the user. 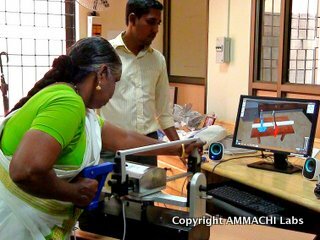 While haptic feedback has been typically used in sophisticated surgical simulators and other expensive high-end applications, AMMACHI Labs has chosen “high social impact” as a factor that guides our application of this technology. 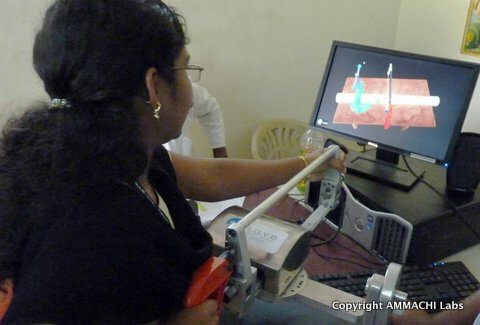 With this vision, we have made pioneering contributions in the area of haptic systems for skill assessment in India and guidance for applications such as vocational education and training, physical rehabilitation, and medical simulation. Specific research areas include haptic rendering, haptic devices, haptic guidance and shared control schemes for haptic simulation. 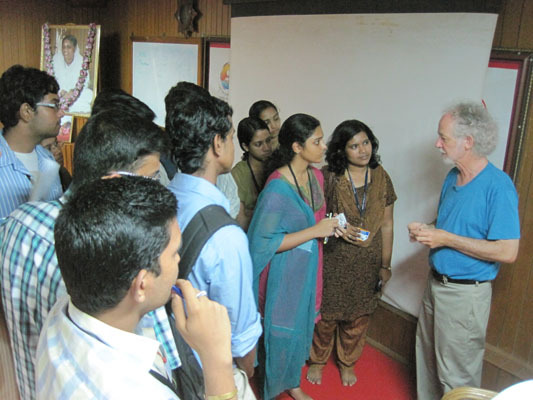 Prof. Ken Salisbury, popularly known as a pioneer in haptics and the inventor of the phantom haptic device is an active collaborator with AMMACHI Labs. 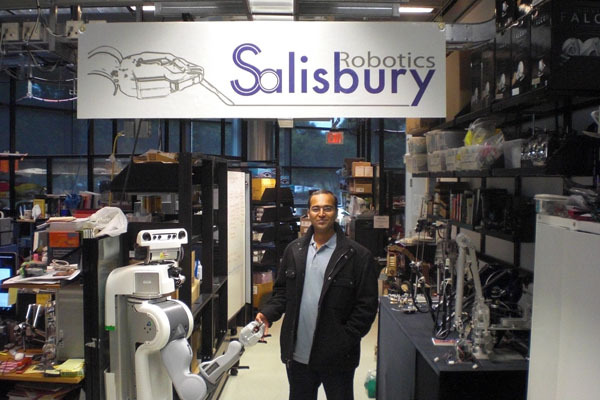 Prof. Salisbury spent a month at AMMACHI Labs in 2012 where he mentored young haptics researchers in the development of three prototypes of DIY haptic devices for vocational training. 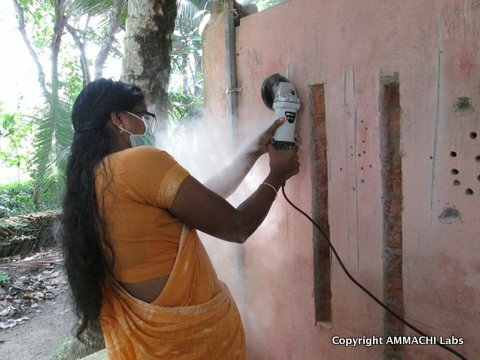 Read our technical poster of about DIY vocational kits. 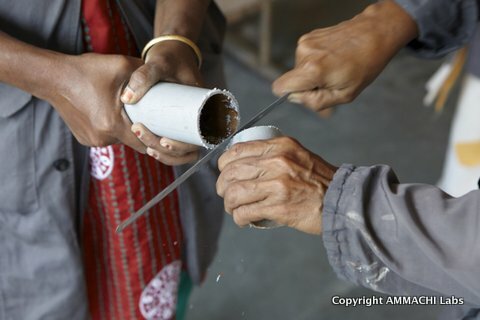 Human motor skill training forms a large portion of the curriculum for any training involving fine motor skills. 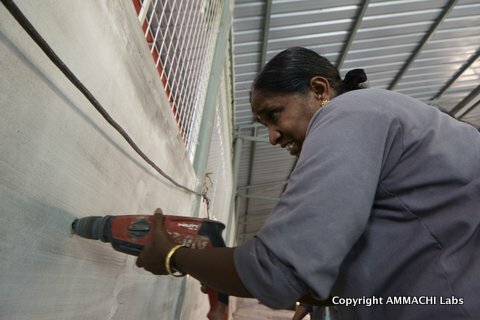 Skill intensive vocations from carpentry to surgery, demand long hours of training in order to gain expertise and workmanship to perform complex tasks skillfully. 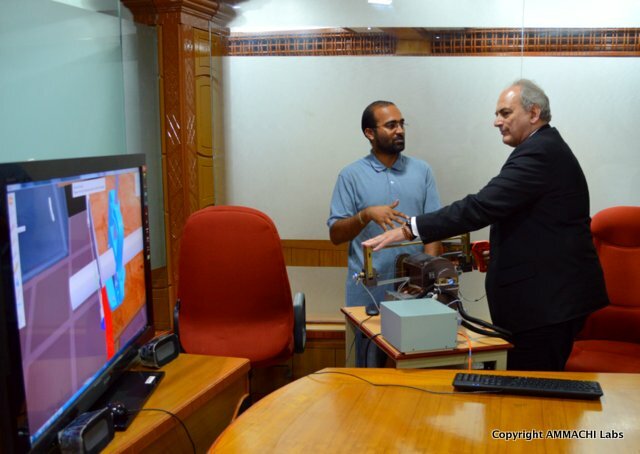 Our simulators offer compelling yet safe training methods using the realistic sense of touch. 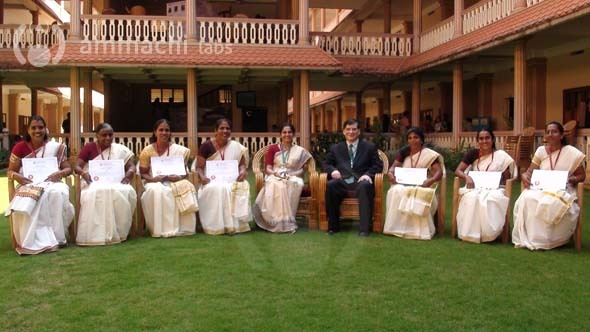 Click on each picture for more details. 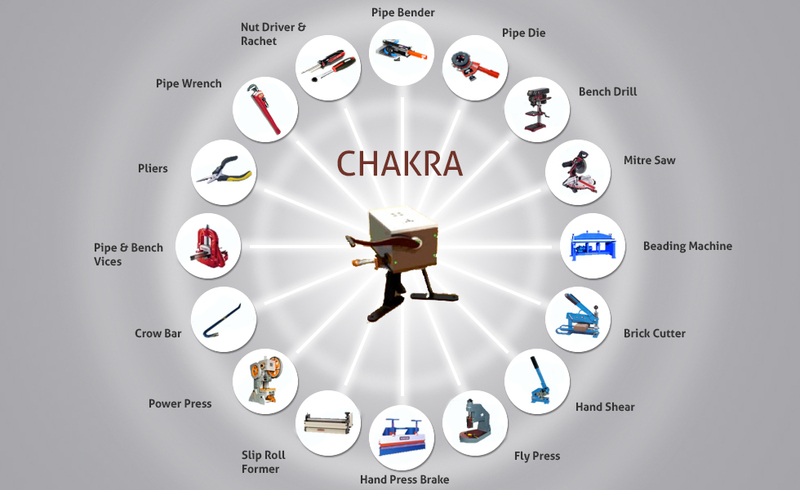 Our work in development of simulators for human motor skill training in vocational trades has naturally involved research in this field. 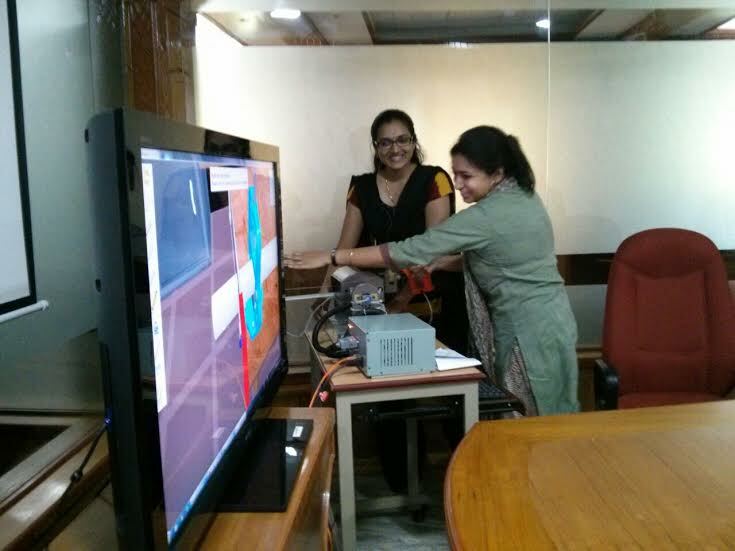 Researcher Akshay Nagarajan published a paper: “Design and evaluation of a Haptic simulator for vocational skill Training and Assessment“. Follow his research here. 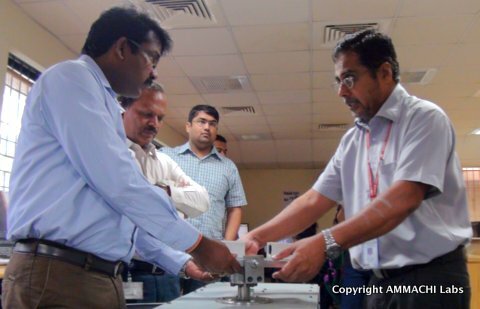 Members from L&T visit AMMACHI Labs to explore training solutions for their skill training centers. 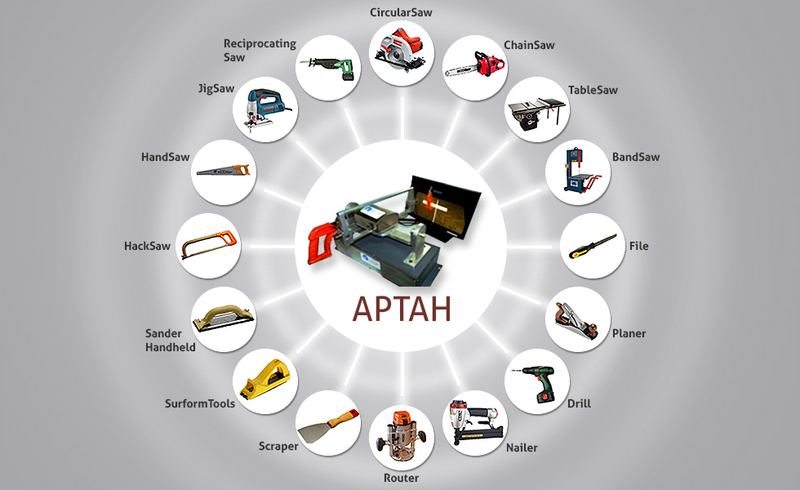 This educational toolkit uses haptic technology to augment the need for realism and is used for skill training in the use of vocational tools. 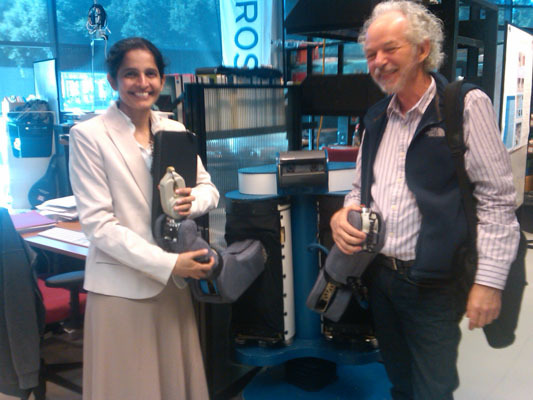 Other haptic research includes the application of robotics in motor therapy procedures for medical robotics. 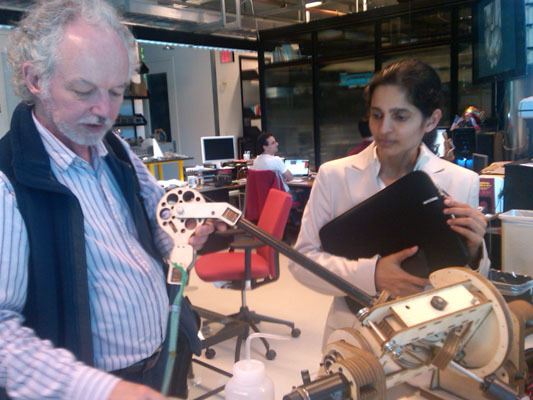 We are investigating the application of robotics in motor therapy procedures for recovering motor control and motor capabilities in persons with impairment following diseases such as stroke, as well as to develop robotic and mechatronic technical aids for independent living for disabled and elderly people.